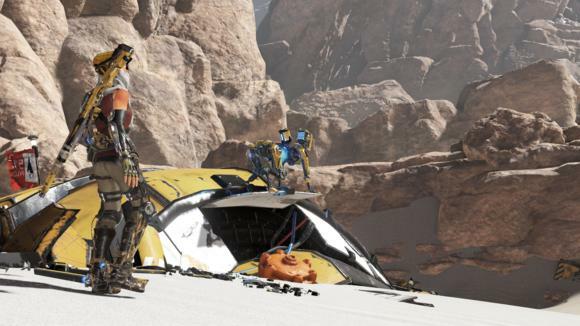 The biggest disappointment reviewing ReCore is how strong it starts. You awake from stasis on the distant planet of Far Eden expecting to find a lush, terraformed planet capable of sustaining human life, 200 years in the making. Instead you find sand dunes. Miles upon miles of sand dunes, broken only by craggy brown rocks and the occasional half-built skyscraper. It falls to you to figure out what happened, traipsing off across the desert in search of answers with your trusty robo-dog companion Mack. And it all goes downhill from there. 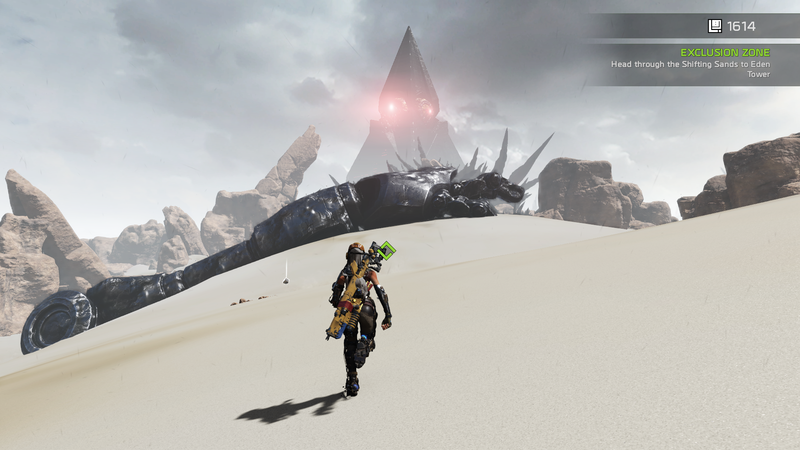 ReCore doesn’t know what it wants to be. It has the aesthetic of a lighthearted kid’s game paired with an incredibly grim story. It has combat so easy you could sleepwalk through it, but matched with a complicated three-tiered upgrade system, and further plagued by a terrible interface. It has main missions tallying about six-to-eight hours, but forces you to dither around with side content for hours on end in order to access it. Side content that doesn’t at all, I should mention, match the main story either in tone or mechanics. Like last year’s Mad Max, this is Open-World-Just-Because, and ReCore suffers from it. 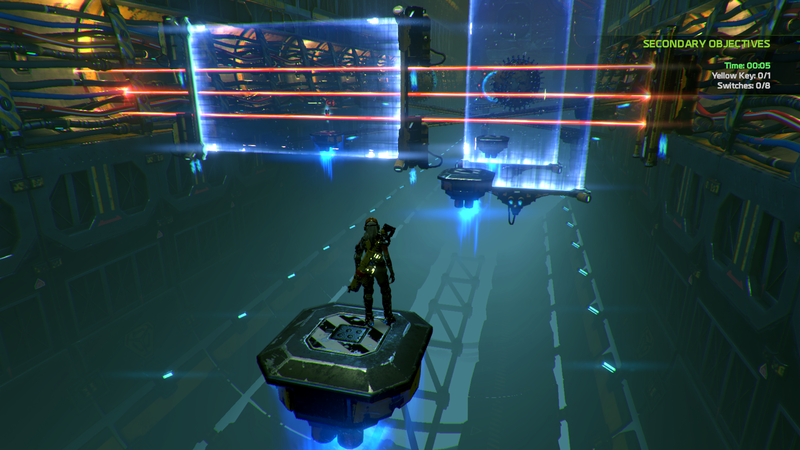 This is a solid eight-hour action game saddled with superfluous empty space and padding. And worse still, ReCore forces you to indulge it by putting the player through one of the most asinine instances of late-game gatekeeping I’ve ever seen. The keys to ReCore’s kingdom are “Prismatic Cores”—special items you collect from boss enemies or at the end of its various dungeons. Each new area requires you to possess a certain number. Great. Fine. For the first few story missions the number progresses upwards, never outpacing what you’d probably gain just through normal play. One for the first gate, two for the second, five, eight, ten, et cetera. A few hours in you reach a locale that requires 20 Prismatic Cores. This will probably require you to scrounge around the open world and find a few more—complete some of the optional side dungeons, or find them while exploring. It’s not great, but it’s also clear you’ve basically reached the end of the game. Or have you? Trying to avoid spoilers as best as possible, but: The twenty you gathered? A bait-and-switch. Upon arriving inside you’re immediately confronted with another door, this one requiring 25. Got enough? You’re allowed to play the story for another ten or fifteen minutes—and then another door, this one requiring 30. This goes on until you’ve collected forty-five of these orbs, each door separated by maybe fifteen minutes of platforming in a featureless void (seriously) and essentially zero story. If you’re lucky you might get a single audio log out of your efforts. I brought up Mad Max earlier because it featured the same sort of tedious gatekeeping, but at least Mad Max’s meanderings were supported by the rules of its universe. ReCore feels like someone desperate to justify the size of its world, desperate to get players to engage with its side activities, and the only way it knows how is to grab you by the jaw and compel you into playing more. 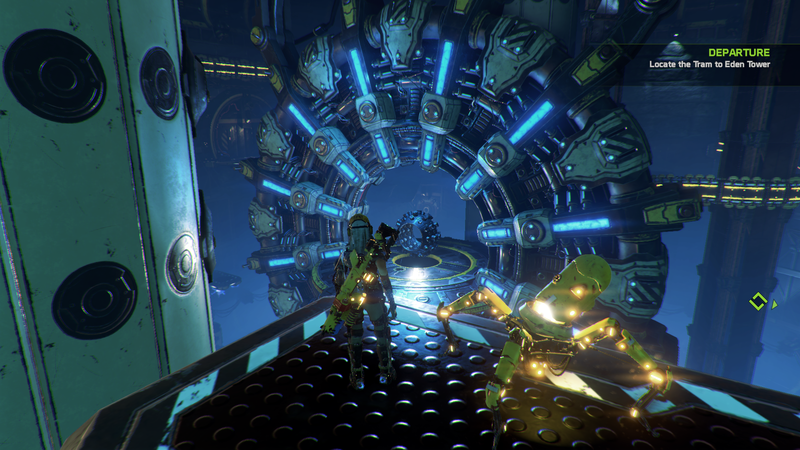 If I seem frustrated, it’s because the opening hours of ReCore are charming as all get-out. It’s hard not to fall in love with your energetic robo-dog, and the early levels are a special blend of puzzle-platforming I haven’t seen done this well since Prince of Persia. 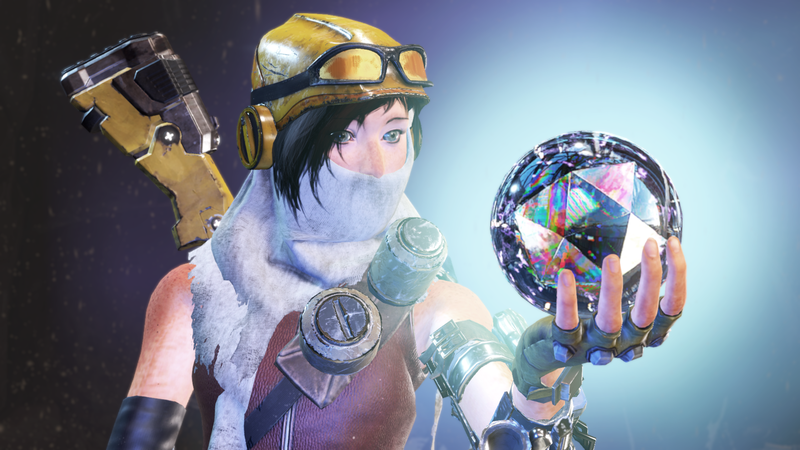 You’ve got both a double-jump and an air-dash, so moving about the world is effortless, and a handful of platforming-centric side dungeons are ReCore’s best moments. Finished? I rarely go back and watch trailers post-release, but I did with ReCore because, again, I felt like something went wrong. And after watching that E3 video, I’m prepared to say that whatever ReCore was initially supposed to be, it’s not the game that’s been released. This is common in video games. Developers are quick to say this is a creative process, an art form, that things are fluid and change between announcement and release. Absolutely! We see it all the time, from Uncharted 4 to BioShock: Infinite. Changes during development are not necessarily an issue. The problem is ReCore is so damned bad at hiding those changes and is full of vestigial systems that never amount to anything at all—and, in fact, make the game actively worse. So you watch that original E3 trailer. You’ve got a robo-dog companion who, in an attempt to save its partner’s life, self-destructs and vaporizes both itself and some enemies—except for its Core, a glowing blue ball of energy. The protagonist, Joule, takes the Core and slots it into another robot, which then comes to life. Barely any of that makes it into the full game. You can pull cores out of enemies during combat but doing so causes their bodies to self-destruct. New robots are instead doled out to you during the story and most come with their own Core. 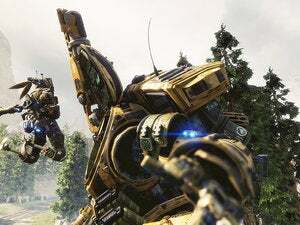 Late in the game you receive a body that doesn’t, and then ReCore becomes an even more tedious game of micromanagement—trying to decide what robo-frames you need on each mission, as every robot has its own special abilities and failing to bring the correct one means a lengthy process of returning to your home base, swapping out Cores or at least team members (you can only bring two at a time), and then getting back to where you were when you got stuck. It’s a terrible system, and one that wastes the player’s time. And worse still, it’s seemingly in the game solely because the original idea—swapping Cores between bodies—required it. Then that whole aspect was quietly sidelined, the game became something else entirely, but the remnants were left in like a burst appendix. I could spend further paragraphs ranting about the menus with which you’re forced to interact with these systems—menus where the information you need is always so compartmentalized you need to look in three different places to piece it together, menus where you accrue upgrades the entire game but can’t hide any of them so you’re left with lists that scroll and scroll and scroll forever. I could complain, but I won’t because this review is already getting long for a game that barely scratches mediocre. Suffice it to say: ReCore is a handful of unique and amazing concepts broken like so many twigs over the knee of a directionless open world. I was pulling for this game. I shrugged off the first “Go find five more Cores” prompt. I sighed at the second. But six? And all that’s out there is the equivalent of the foot-races from Assassin’s Creed? Somebody built an amazing environment here and forgot to fill it up. Let’s talk ReCore as a technical product real quick. This is Microsoft’s first official “Xbox Play Anywhere” title. We could perhaps argue it was actually Quantum Break earlier this year, but that technically predated the official program announcement, and thus here we are. Semantics aside, it’s important that I point out ReCore’s frame rate is solid and the game packs all the graphics options I’d expect from a typical PC title. Do I like the fact it’s sold only through the Windows Store? No. But at least this port isn’t half-busted like the aforementioned Quantum Break and Gears of War. In fact, if for whatever reason you are going to play ReCore, I feel confident saying the PC is the definitive version. Talking to friends who played the Xbox One version, I initially complained that ReCore’s loads are absurdly long—we’re talking thirty seconds or more for some areas, installed on an SSD. Their response? The Xbox One’s load times are sometimes upwards of two minutes. Both are egregious, but at least the PC takes less time to prepare itself than your average cup o’ noodles. 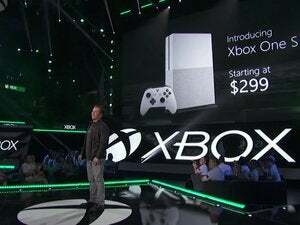 I’ve also heard complaints about ugly-looking textures on the Xbox One. The PC has some noticeably stretched rock textures, but otherwise I think looks pretty solid—at least as good as any other B-tier open-world game. 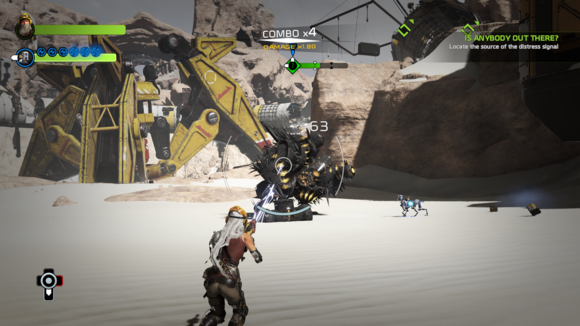 I’m not hand-waving away ReCore’s technical issues—the load times in particular, but also a handful of crashes and a bugged final boss fight that saw him clip through the floor and disappear. It definitely is not up to par with other big-budget releases, and we’ve scored down a point accordingly. I am, however, willing to say that this time it’s not the fault of Microsoft’s Universal Windows Platform initiative or the Windows Store. The PC version is better than the Xbox version, as it should be. As I said, the most disappointing part of ReCore is that it starts so strong. I haven’t spent nearly enough time on what ReCore gets right, so numerous and egregious are its failings. But your robot companions? Adorable. The platforming? Extremely responsive, and as entertaining as anything in Tomb Raider or Uncharted. But ReCore is a chore. A needless chore, with gates so artificial it ruins what’s otherwise a lovingly crafted universe. Go here, fetch a random collectible—that’s not enough nowadays, and especially not when the game doesn’t even bother to dress it up with a hint of motive. Couple that with the lengthy load times and the overall lack of polish, and I’m going to have to recommend avoiding this one. 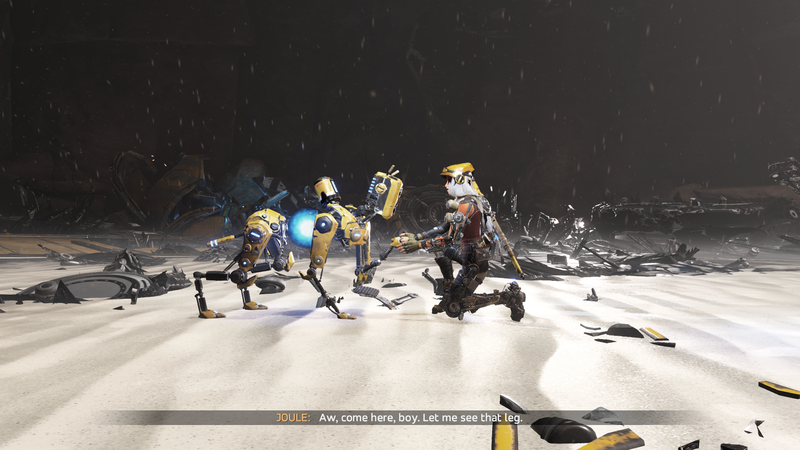 ReCore features adorable robot companions and snappy platforming, but a chore of an end-game, bugs, and terrible load times make it a hard sell.